Today, on Hubstaff’s Agency Advantage Podcast, I’m talking with Chantell Glenville, author of the book What Clients Really Want (And the S**t That Drives Them Crazy). Chantell has worked at some of the world’s top agencies and also managed agencies in her role at Vodafone. It wasn’t until she made this switch to the client side that she realized just how out of touch many agencies are with the real needs of their clients. In our chat today, Chantell answers the question of what clients really want by laying out the basics you need to get right, as well as how agencies can take their client relationship from good to great. If you’ve ever had a client fire you when you thought everything was going great, then this is the episode for you. Click here to grab the transcript! Chantell’s first key tip is to stop assuming everything is fine when you first enter a relationship with a client. Really take a step back and look at how you relate to your clients. You might think nothing is out of the ordinary, but you might actually be doing all these things that drive your clients nuts, like missing deadlines or putting out sloppy work, and instead of starting out at zero with your new client, you’re actually starting at negative three. In order to really start fresh with your clients and ensure you can keep their business, you need to examine your business habits and how your clients act with you. That way you can move out of the negative zone and into a really positive, productive relationship with your clients and make sure you stay employed. A number of things can sour the relationship between agency and client. Chantell highlights two of the big ones. Either you’re taking extra money from them, or you’re taking extra time. First, failing to discuss costs upfront can really upset your client. Say your client wants to make extra changes to your project, and it costs more than the standard contract. To you, that might seem reasonable–the base rate is for so many changes and rounds of tweaks, and the client wanted more, so you’re charging them more. But really step back and look at it from the client’s point of view. They only have so much of a marketing budget. If they cross the line over what they initially paid for and you don’t make that clear to them, they’re out of luck and have to scramble for the extra money. Make sure you communicate with them about what they’re paying for and when they’re asking for more. Second, pay serious attention to detail. It’s pretty obvious why clients might get upset when you go over budget, even if it’s their fault–you’re costing them money. But if you produce work with basic mistakes like typos, you’re costing them time. Instead of having a marketing product they can review and rubber stamp, they have to comb through it for nitpicky things that you should have been checking for. They’re paying you for a service, but now they have to spend their valuable time making sure that service is up to snuff, instead of you taking the extra step to make sure it already is. Not everything is so obvious or as complex. Consider your client’s working hours. A lot of ad agencies enjoy the freedom to start work late in the morning and keep strange hours, working into the evening. Clients are less likely to have that kind of schedule. If anything, they might start work early so they can leave early. Think about what time they’re at work. If your client leaves at five o’clock on the dot every day, don’t get upset if they don’t respond to a round of changes you send them at ten o’clock. On the other side, make sure your client knows what time to expect response from you. If your client starts work at seven and you don’t get in until noon, make sure they know that they can’t email you first thing in the morning and expect an immediate answer. According to Chantell, the most important thing agencies need to do is understand that clients and agencies have different forces at play. The individual you’re working with at a client company might be understanding that a third party you’re working with didn’t get their stuff in on time, or maybe your creative review didn’t work out, but remember, that individual has people at their own company putting pressure on them to get this done as well. They have stakeholders and managers to impress of their own. To build this sort of empathy, especially for long-term relationships between an agency and client, Chantell strongly suggests going to visit your client at work. See what their typical day is like, what their pressures are, and how you can make sure working with you is a pleasure instead of a pain. According to Chantell, it’s not just about making their lives easier, which is often what agencies focus on; it’s also how can you avoid making their lives harder. When do they have deadlines? When do they really need this done? When are they in or out of the office? If you know these things about your client, your relationship will be much smoother. The real secret to keeping business, according to Chantell, is making sure you take that extra step. First, know a client’s brand better than they know it themselves. You’re the marketer, after all. Really understand what they’re saying as a company so you can make sure that’s in every piece of work you do for them. When you’re presenting work, make sure you take into account the whole of a client’s business. You might just have been asked to work on this one aspect, but still take a step back and see what the rest of the company’s doing and how this specific piece fits into the puzzle. That will make your work stand out and ensure the client is pleased with it. Second, make sure the client knows where the project is at every step of the way. Instead of just updating a client when things aren’t going well or when something’s going to be late, proactively let them know what’s happening. Update them on the status of their project as often as possible. 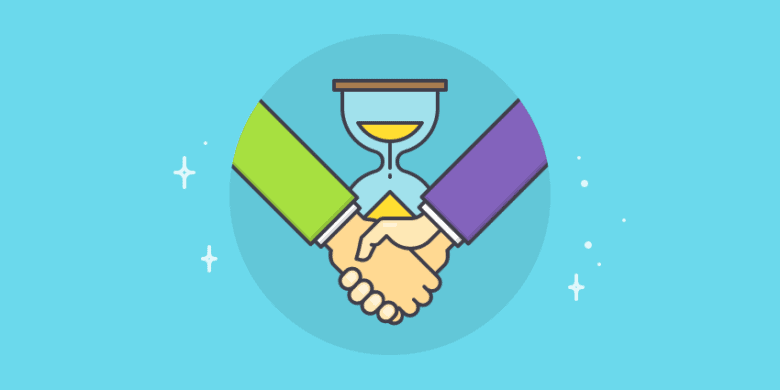 This might seem like extra time taken away from your already busy schedule, but actually proactively letting your client know where they stand will save you time. Instead of getting an email randomly from a client asking how the project’s doing and then having to drop everything and figure it out before you can respond, you can email them at the beginning or end of the day to tell them, “Here’s where we stand.” This allays the client’s fears while also making sure you don’t get distracted from your own work. The client will also look at you much more positively if they don’t have to chase you down for answers all the time. Andy: Chantell, thanks so much for coming on the show. Chantell: Hi, thanks for having me, Andy. Andy: You were the author of the book What Clients Really Want. What happened that led to you writing this book? [00:01:00] My original background is in advertising agencies. I worked ad agency side for about 7 years in client services. Then after that, I went client side. It’s actually this mixed background that led to me writing the book, because I realized over the years that no matter what the side of the agency, no matter what the specialty, when breakdowns occurred in the client/agency relationship, it was always the same recurring themes that were causing those breakdowns. It’s so important that we don’t let that happen as agencies because the sad truth is, that breakdowns in client relationships cause agencies to lose clients and get fired, even when they’re producing great work. Great work is just not enough to retain clients longterm. There has to be a great relationship there, too, because there are so many other people offering the same services out there. With that, they’re just going to go elsewhere. It was about a year and a half to two years ago. It went round in my head for about six months before I ended up writing the book, and then it got to the stage where I felt like I was about to go insane unless I actually wrote it down. As with most creative pursuits, it kind of gets to the point where you need to do it. I wanted to help people in any way I could because I was fortunate to be in this position where I had experienced both sides of things. I realized there was nothing out there on client relationships actually written by a client, which is kind of crazy when you think about it because most people working agency side have never worked client side. It’s so important that that understanding is shared with people. Andy: What was it like working with agencies on the client side? You started on the client side before going agent side, or do I have it backwards? Chantell: The other way around, agency side then client side. Andy: Okay. What were you doing when you joined on the client side? What type of role were you in? My first client side role was Vodafone. I don’t know if you have it in the States. It’s a huge telecom company all over Europe and in Asia as well. I worked with a lot of agencies – I’m talking like six, seven different agencies across everything from TV to point of sale – on all of their advertising campaigns. [00:03:30] What were some of the issues that you were running into? Where were you seeing the friction? To back up a little bit, going into it coming from the agency side, did you think you knew what you were getting yourself into or were you flying a little blind? [00:05:00] Also, clients can’t manage their budgets if you don’t discuss those things upfront. Depending on the size of the organization, but if it’s a reasonable sized organization, most clients are given a budget, and that’s all you’ve got. If it’s suddenly 100 pounds over or a 100 dollars over, where are you going to get that money from, as a client? It’s not just as simply as, “Well, okay, it’s only a small add-on so it doesn’t matter that much.” It does matter. It starts this whole other process off for the client, which will take up possibly half one of their days. Andy: When you got into this role, you knew where you had run into issues on the agency side. Did you do anything to try to prepare for this and to try to avoid it, while being a client? [00:05:30] Yes. I mean, it’s kind of coming at it from a different point of view. Obviously I’d experienced the difficulties, and I had caused some of the difficulties myself agency side before, before I realized that those things mattered so much. I tried to be, as a client, more understanding of them when things were delayed or when agencies would disappear instead of updating us on when things were going to go through. If something was running late, that they actually wouldn’t get in touch and be like, “Hey, it’s going to be 30 minutes late.” That you’d just disappear and then you don’t know when you’re going to have your work for review. [00:06:30] The important thing about it is you can try to be as understanding as you want to be as a client, especially having been there before, but the pressures at play in a client organization are different to an agency organization. There is a lot of pressure from a lot of different sides client side a lot of time. Actually, as understanding as you may want to be, you can’t be. You can’t be like, “Oh hey guys, actually it’s fine. I get it. Your creative review didn’t go how you wanted it to go. I know you need an extra day.” I’ve got a presentation to stakeholders in an hour. [00:07:00] You want to help with that in any way you can. I certainly tried to help the agency understand what my life was like as a client, as much as possible, so that they knew who was having to get approved along what and what the stages of campaign development were for me so that they could better factor that into their timings and better understood what was going on. The agencies really need to get involved for the client to get that full understanding. They need to come into the office. They need to really understand them. That’s how you form a partnership together and actually work through these things so it doesn’t feel like, “You’re not delivering what I need, and I’m not delivering what you need.” It needs to be actually brought together as one. [00:07:30] Right. 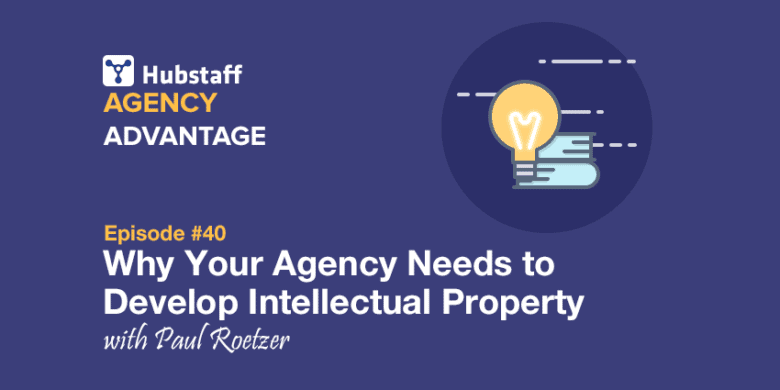 Because not every agency can expect their clients to be like you, where they’ve been through it on both sides of the equation and they know how to be more proactive, they know how to do these things to really bring the agency in. You can’t count on that. With that being said, for the agency owners who don’t have that experience, who aren’t working with as experienced clients as you may have been, what is it that clients really want? Obviously it’s a broad question, but I think if we get started on this topic, there’s a lot we can dive into from there. Absolutely. Needless to say, clients want great work. I’m going to take that one as a given. Wouldn’t have hired you if they didn’t want great work. There are also two really important other things that they want. They want you to make their lives easier, and they want you to not make their lives harder. Those are the two overarching elements to creating great client relationships. The second part of that not making client’s lives harder is unfortunately really frequently overlooked. [00:09:00] We go into these client-agency relationships and we kind of assume that everything is fine, that we’re starting from base level. It may not be great, but it’s all happy and all right. Actually what we don’t realize a lot of the time is that we’re not starting from a base level of everything being fine. If you think of it on a scale of 0-10, where 10 is great client relationships, actually a lot of agencies are at a -2 or -3 in their client-agency relationships. They’ve been performing these small behaviors over time that have damaged the relationship. Without fixing that first, without stopping doing stuff that drives clients crazy first, you’re never going to be able to get to 10. It’s just you’ve got to get back to the baseline first of everything being okay, and then you can focus on making it great. You’ve got to make it good first. [00:09:30] What are some of those other things that need to be good? Obviously it’s almost table stakes that the work needs to be up to standard. You need to provide a good end result. Along the way, that’s where we always find those issues. It’s with the delivery. It’s with the cost overruns. It’s with any of these other issues, that that’s where things are wrong. What does a baseline look like, where you can say an agency is doing a good job of managing the client relationship? [00:10:00] The main thing about getting to that .0 is having an understanding of the client’s world, as I touched on earlier, knowing what their daily working lives are like, what their internal structures are like, what their pressures at play are. There are loads of small behaviors that could be formed, that might cause harm to the client relationship, like lack of attention to detail, coming up with costs later in the process, things like that. The driving force of that is a lack of understanding of what those behaviors will have as an impact on the client, how detrimental they can be. [00:11:00] Literally the second I started working the client side, there were so many things. I was like, “Oh, that’s why that matters so much!” I never knew that because I hadn’t worked client side, and no one ever told me. They never said, “This is why this matters to a client.” I mentioned attention to detail. In agencies, people are told all the time “it’s so important, it’s so important.” No one ever turns around and says, “Why?” No one ever actually goes into the affect that that is going to have on the client, how that’s going to affect their day. Which is why the main things taking it to zero is you can go through each of the behaviors if you want, but the overarching thing that’s going to do that is going in and understanding their internal structures, understanding their lives, getting to know their business so that you can preempt all of the things that might otherwise make their lives harder. Andy: How does an agency do that? [00:12:00] It depends on the client, it depends on the agency staff time. I would always highly recommend going in and shadowing your client for a week if you can, if they’re going to be a longterm retained business. Obviously if it’s project-based or if you’re a really small agency, maybe that’s not feasible. You at least then need to put a process in place for your agency to get all of that information off a client upfront and make sure. Maybe you do it via a Skype call, if you can’t physically get to their office. You actually ask them questions about what happens for them anytime they’re getting a campaign out. What is going on in their [way of 00:11:56] business, what their business objectives are, what their financial objectives are. All of that information so that you can better plan the in to how you’ll manage the process going through. Andy: I want to dive in a little bit to some of the specifics. You had mentioned about the value of paying attention to detail and how sometimes the little things really matter a lot. What are some of those little things that were commonly missed that had big impacts, that on the agency side you don’t realize are that big of a deal? Attention to detail is definitely the one that I would say is the biggest one that I’ve seen break down relationships over the years. I’ve seen almost an entire client-agency relationship disintegrate just because of that one thing. Which might sound like a stretch, but it has a huge impact on client’s lives. If there is a consistent lack of attention to detail, what you’re doing every time you send work through is the client has to look at it, they spot the errors, they have to send it back, it has to go back again, they have to check for more errors. You cause these extra rounds of amends and essentially end up wasting the client’s time, which over time tends to annoy them. You’re making their lives harder. You’re stealing time from them that they could be using for other things. [00:14:00] Another big one is not factoring in the different working hours of clients to agencies. A lot of the time, clients tend to leave the office bang on, the end of the day. They don’t usually tend to stay late at the office. A lot of the time they’ll get in early. Actually there’s quite a culture of getting in at 7 AM and things, but leaving as soon as the working day is over. Whereas agency side, in my experience at least, it’s usually the flip side of that. It’s usually getting in at like 9 o’clock and then just maybe never leaving. That can cause a disconnect and make things difficult in the client-agency relationship, if there’s not a realization of that. Then you have agencies sending through work at 6:30, 7:00 in the evening, expecting a client to be there and review it and getting annoyed when the client doesn’t say anything until the next morning. They weren’t working. They’ve left the office by then. [00:14:30] It’s simple, small things like that where if you just become aware of them, you can then factor them into how you manage the situations. It’s just that it’s a different way of doing things. It’s not that they’re working any less or they’re not working as hard, just things have shifted slightly. That’s fine, as long as you know how to work around it. [00:15:30] Honestly it does seem like everything that you’re talking about at this point comes back to just not understanding clients operate and just sort of forcing them to follow your way of doing business and follow the way things work for you. If you’re running behind or if something didn’t go as expected, the client has to deal with that. Often with no notice. Often with whatever. That is a huge problem. Then beyond that, there’s also some what seems like issues of communication. Earlier you had mentioned the example of change orders, of things changing that cost more money, that wasn’t communicated upfront. How do you typically recommend that agencies can preempt this? Is it just every time something comes up they say, “If we do this, it’s going to cost this. If you don’t do this, it will save this.” It seems like to go too far to the other end of it, of saying what everything costs, can be almost awkward. How do you find that balance of being transparent without going overboard? [00:17:00] Just having those conversations, making sure. It takes a little more time to do it, but making sure you’re putting the effort in to discuss all of that upfront. [00:17:30] It just seems like it’s about being more deliberate. You can’t really fly by the seat of your pants because you need to know your own processes. You need to know what the rules are, what’s in scope, what’s not. If you want to be transparent about it, you can’t just make things up as you go. Clients don’t want you doing that. It’s one of the things that sours so many relationships, is when clients think you are doing that. By having clear processes on the agency side, you’re then able to communicate them in a less awkward way than I had originally suggested. I like what you said. Just make it clear what’s going on. [00:18:00] You don’t need to bring up money at every option, but when things are close to the edge of what’s in scope, let them know. Don’t immediately say, “Well, this is going to cost you X. This is going to cost you Y.” Just bring it to their attention. “Hey, we talked about this. This is where things are at. If you want to keep going with this, that’s fine, but we’ll have to talk about different terms.” I think that’s a really delicate while direct way of putting it. Andy: You had also mentioned in your book something called “the third party trap.” Can you speak to that? [00:19:00] This one comes up quite a lot, where say agencies are working on projects where they’re not the one actually creating the work. For example, the media agency have done a digital buy and so actually it’s the digital media provider who is creating the adverts for that, as a part of the package from the media agency. 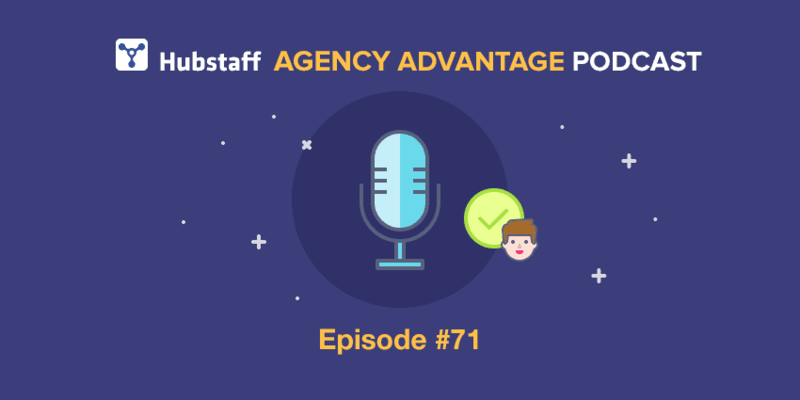 The agency is kind of just sat in between because the client wants them involved, because as far as the client is concerned, the agency is the brand guardian. They want them to be looking at it, making sure all the work is up to scratch, that it’s adhering to brand guidelines. Unfortunately, because the agency isn’t actually creating the work, a lot of the time – and it’s really easy to do, to feel like as an agency it’s not really your problem because it’s not your creative work in the first place – sometimes that stuff comes back and it really doesn’t look very nice anyway. There’s only so much you can do within the confines of what the client has already agreed with this third company that you have nothing to do with. [00:20:00] What you see happen is these agencies sitting in the middle, and they just pass it between the third party and the client. They just shuffle it in between, but literally without even opening up the files to check for typos, to check for anything like that. They’re just pushing it through. You should never at any point be involved in anything, unless you are adding value. If you’re not adding value in that loop, just step out of it. Say you as an agency do not want to be involved in it. Either you need to be checking those files and making sure that the work is good enough and that there aren’t any errors, or you need to not be involved. By just sitting in the middle and shuffling it back and forth, one, you’re delaying things for no benefit, and two, you will get the negative affects of those bad behaviors that those third parties are doing. The client, what they’re going to see is an email from you with work that’s not correct. They’re still going to be thinking it’s you who had the lack of attention to detail because, well, you kind of did. It touched your hands and you did nothing about it. You didn’t save them time and deal with the third party and make sure it was right first. You just passed it on through. [00:21:00] Right. I think there’s two sides to it. There’s one that is a lack of attention to detail, which you had mentioned earlier. It’s that this should have been caught. This is your job. Either it looks bad on you, if the client thinks you should be taking a more active role and they’re just blaming the third party’s bad work on you, it looks bad. If you say that, “This isn’t us,” the client is going to think, “Well then what are you doing here? What are we paying you for? Why are you even involved in this?” It’s sort of a no-win situation, unless you do what you said, you only take part in these types of relationships if you’re adding value. Otherwise, there’s no real possible way for you to come out ahead, or the client. [00:21:30] Yeah, and you should be adding value. One of the things, once you get to this base level, to then take things to being great in the client relationship, is that you should know the client’s brand better than they know their brand, as an agency. You should be able to add value in the middle there, because you should be looking at it and being like, “Yeah, okay. That’s not really how we use the logo.” Whatever it is, you do have an important role to play there as an agency. If you’re looking at the design, you’re going to be much better at spotting the things which do or don’t adhere to the brand guidelines than the client team might be. Andy: Chantell, say that the agencies have this stuff down, or at least they hear your message and they know what they need to work on to improve to get back to that zero mark you’ve been talking about. Once they are there, though, what do they need to do to take the client relationship from good to great? [00:22:00] The second part of things, once you’ve got to the base level, is working on the positive relationship-building behaviors. That the things like knowing a client’s brand better than they know iftself, or managing the account so that at any point in time clients know where they are in everything. Not just managing when things aren’t quite going to plan, but proactively managing the client so that at any point in time they can be able to say, “Okay, yeah, I know where that project is,” rather than having to chase you. [00:22:30] Even whenever you’re presenting work, taking into consideration the entire of a client’s business. Rather than what you’ve just been asked to work on your agreement, actually thinking about everything that’s important to them. Combined, it’s all of the things that are going to make client’s lives easier because you’re actively thinking about them and thinking about the things that you can do that will help make their day to day lives flow a bit better, in terms of their work. [00:23:30] Yeah, that’s absolutely it. It doesn’t always have to be things that would take you more time as an agency. Some of these things actually save you time. I mentioned making sure your clients always know where any work is. That actually in the long run is going to save you time because it’s going to stop clients from chasing you. If they already know that information, they’re not going to be hounding you during the day, being like, “Okay, so when’s this happening? When’s this happening?” You’re actually free to get on with your job as well then. Andy: How do you recommend that agencies keep clients in the loop on those types of things? Those types of things, I think a great technique that can be used is just waking your clients up and putting them to bed. When you go in each day, just shoot them off a quick email being like, “Hey, this is what we’ve got going on today. These are the urgent bits.” You can do a little overview of the week if you know it’s going to be a busy one, as well. It depends how active work is on the client at the time. Telling them what’s going to happen, when they can expect stuff. Then at the end of the day, letting them know where they are. Just literally something as simple as that. It only takes ten minutes, but it saves all those questions that might otherwise come up throughout the day. [00:25:00] Right, that’s what I was going to say. People might say, “I don’t have time for that. I’m already so busy. I have so much I have to do.” The thing is, if you can block out that time at the beginning and end of the day to get your clients, as you say, wake them up and put them to bed, if you can do that it’s going to save those interruptions in the middle of the day that take way more time. Not only is it the amount of time that it takes you to figure out what they’re asking about, find the answer, get back to them, but that distracts you from whatever task you’re actually working on at the time. It takes a lot longer to get back in the mental mindset and start picking things back up. If you can just lock out the time at the beginning and end, it avoids that entirely. Chantell: Yeah, exactly. I’m a huge believer in managing your own time. Any little things that come up, they do distract you. It takes time and effort to get back onto task. The more you can proactively do that for yourself and be like, “This is when I do this thing, this is when I do that,” the better. I’m assuming you recommend that agencies have sort of a general procedure of how they handle these things because so many times when I talk to agency owners – if you ask them how they handle client relationships, if you ask them how they update clients, how they do their statement of works, they do their proposals, they do any aspect of the process – they can give you an answer, but it’s not always the same every single time. It seems like to do these things well, you need to kind of standardize your approach to almost every aspect of the business. Is that a fair assumption to make? [00:26:30] Yes. I think it will make things a lot easier for whoever is managing your client relationships. Also you have to bear in mind, if you’re the agency owner, all of your staff might not know all of these things as well. Maybe you’ve got this locked down and you know how to manage those processes really well, but do all of your staff members know how to manage those processes really well? If you have a standard working order as to how you do these things, it will help make it quicker to get people up to speed as to what they should be doing and help prevent things being forgotten or missed off. [00:27:00] I touched on before always thinking about other elements of the client’s business. If you have that part of your process, that’s a reminder for people. It’s so easy for something like that, which is a nice add-on in people’s minds, to just be put to the wayside when you’ve got a load of ideas you need to present to the client and you’re busy on things. You forget that actually you could have spent two minutes thinking about, “How could our web design work in the client’s email [coms 00:27:10], just so that they can see we understand that they have other parts of their business?” Things like that, it just makes sure everyone stays on track, if you have a process in place for it. [00:28:00] It’s also just the easiest things, or what seem like the easiest things. Like the emailing at the beginning and at the end of the day. Most people don’t have a set time or a set part of the day where they handle email. It’s just sort of when it comes in, that’s when they’re going to get to it. That’s one way to operate, but if you just kind of are flying by the seat of your pants like that, you’re not really building the systems that let you improve and build these types of relationships. Like you were saying, while one person in the agency – whether that’s the owner, whether it’s whoever – may intuitively on some level know how to do these things, until it’s out of their heads and onto paper and into the training, into whatever else, it’s not going to be pervasive throughout the agency and actually get you the results you really need. Andy: I’m curious, today, what do you do? Do you work with agencies to help them improve these types of things, or what is your role today? [00:28:30] I have a marketing consultancy today. I, a number of years ago, decided to readdress my work/life balance somewhat, as I spent a few too many years working a few too many hours. I try not to take on too many marketing clients because honestly I don’t want to be that busy most of the time and work on passive income generating streams instead a lot of the time. I still work with clients, and it’s interesting working with clients now, having spent so much time working on client relationships and how I can improve them. It actually makes it really fun. What is your relationship like with clients? I think that’s one thing where so many agency owners almost assume there’s always going to be this sort of adversarial relationship between agency and client and that they don’t understand all of the benefits of applying these things. When you work with clients right now, what is that typically like? [00:30:00] My aim with working with any clients now is to be their partner. I don’t want to be their supplier. If they’re interested in someone just being their supplier, I’m not interested in the working relationship, to be honest. That’s not how it should be. They’re coming to a consultant or an agency because they need your expertise. That’s the reason they’ve approached you in the first place, and so it should be a partnership on everything you’re working on. That only happens when you’re open and honest with each other and you actually try to understand each other’s businesses and you actually try to understand what’s going on. Then it can actually be a really enjoyable lovely relationship, where it’s not us against them in any sort of way. You’re like an extension of their team, essentially. [00:30:30] When you do that, when you get to that point, it seems like this is something that so many agencies, maybe less on the ad agency side, which I don’t have as much experience with, but definitely on the digital marketing side, the digital agencies. You see so many times that they’re seen as just another vendor. When a client comes to them and asks for their proposal, it’s because they want to price shop it around. It’s because they’re looking at all of what they see as commodities. When you can move the dynamic like this so that you really can become a partner, those concerns just aren’t as important. The client likes working with you. They don’t see it as this adversarial relationship. That changes the dynamic entirely. [00:31:00] Yeah, it stops you being easily replaceable. You are adding additional value for them. It also means you can charge higher fees, too, because it’s not just about, “Okay, well it costs X for a website.” It’s about all the other benefits that you’re giving them in that relationship. It’s about value proposition, essentially, which is kind of funny that we forget about that as marketers and agencies a lot of the time, given that’s kind of what we do for clients. [00:32:00] It’s also true. A lot of guests I’ve had talk on this show, one of the main ways they talk about raising your fees is by choosing an image, by really narrowing in your positioning, and becoming an expert. I fully support that and agree with it, but one side that we don’t hear about as much is if you can just operate better – not necessarily more efficiently, but on a better level of more understanding, of more care for the clients – that has significant value. The average agency that is working with a client doesn’t do this. If you can just be easier to work with, provide more value, don’t act like the middle man, don’t act like the vendor, if you can do these things, they’re going to be willing to pay a premium almost just for that. Andy: For the agency owners that we’ve convinced, that they’re on board now, they say, “All right, I’m ready to take this seriously,” what can they do to get started? What is a first step they can take to really start fixing this behavior? [00:33:00] It depends where you’re at in your agency, to be honest. It could be that it’s just you and a small team, and you’re personally struggling with it, or that you are an agency owner and have training you need to provide. There are two different ways you could approach it. If you’re at the stage where there is training being provided in your agency for other members of staff managing these relationships or where you want to set training up, I’d say the most important thing to do is to look at that training and what you’re developing – or have already developed – and just ask yourself whether it actually explains the why of the behaviors being discussed, why they matter. [00:33:30] Whether it’s just telling people what they should be doing, or if it’s explaining what the [inaudible 00:33:06] effect of not doing those behaviors or what the [inaudible 00:33:09] effect of performing those behaviors will be, why that stuff matters. Then also whether you are going into the detail to provide people with the tools to actually get better at those elements. It’s no good telling someone they should be better at something or they should be doing something like that, if they don’t know how to fix that. People who are being sloppy about attention to detail, a lot of the time it might not be just because they don’t care. Maybe they don’t understand why it’s important. If you bend on that and they’re still doing it, maybe it’s just because they don’t know how to get better at it. Actually making sure you’ve provided the tools to improve those elements, too, is really important. [00:34:30] If you’ve got a smaller team, if it’s just you struggling with this, I’d say the first and most important thing to do is take an honest look at where you are in your client relationships now. Assess if everything is okay or if you’ve been assuming that you’re at a base level of everything being okay and so you’ve been trying to do bits to make it great, but you actually haven’t got to the base level yet and things have been going a little awry occasionally. If they have, it’s fine. Look over your last project. Go through every single stage that happened in that last project with that client and ask yourself for each stage, “Did you do anything that made the client’s life harder?” If there was a point where you remember them being a little bit antsy with you, especially, look at that point. Go through what the behaviors were at that time. Was it because there wasn’t clear enough communication with the client? Was work delivered late? What was it that went on that drove that? So you can identify the specific behaviors that have been being performed that you can improve on next time. [00:35:00] I think that’s amazing advice. Tell me if I’m off base with this, but I feel like for agencies if, right now, they’re not sure where they stand with their client, that’s probably not a good sign. I think if you’re going a great job, you would know it. If you have to think about, “What does this client think of me,” and you immediately don’t know that they love you or that things are great, then it’s probably something you need to look into more. Chantell: Yes. I would entirely agree with that. [00:35:30] It just seems like so many times we default to just not paying attention to this, thinking things are fine, thinking that things are okay, and then next thing you know the client is going in a different direction and working with another agency. There are ways to be more alert to this, to not be caught off guard, and to actually prevent this from happening. You’ve shared a ton of those with us today, Chantell. Before we wrap up, I like to ask all of my guests a few rapid fire questions. I’ll go through them quickly, but your answers don’t need to be short. The first one is what do you currently spend too much time doing? A lot of things. I love learning about things. I just like learning about anything and everything, which is great and interesting and fun for my life, but it’s not necessarily the most useful thing, in terms of developing a business. There are instances where I could outsource something or just pay someone else to do it, but instead I get excited about learning about it so I go off and do it myself. That is not the most efficient and effective way to do things a lot of the time. I need to get stricter with myself about that, about how much I’m allowed to learn in any month I think. Andy: What do you not spend enough time doing? [00:37:00] I mentioned before that I tried to readdress my work/life balance a little bit a number of years ago. With the book coming out last year – and I actually wrote a second book in that time, too, which also came out last year – it’s been a busy couple of years getting those two finished and launched. I want to get back to spending a bit more time by myself, actually. Andy: With those two books out of the way, what are your goals? What are you hoping to accomplish in the next quarter? [00:37:30] In my marketing consultancy, I have a number of training courses. One is on how to create great client relationships for agencies, and the others are for small businesses on if they want to train their staff on marketing, rather than having to hire a consultant each time. What I’d like to focus on for the next quarter, probably the next year to be honest, because it’s going to take a bit of time, is turning those into online courses so that they don’t necessarily require my physical presence for people to learn from them. Also so that they can help more people, can reach more people. [00:38:00] Obviously you’re going to do a lot to make sure you get there, but right now if you were going to identify a potential obstacle that could stop you, what would that obstacle be? Chantell: I just have a lot of niggling tasks to get out of the way. They’ve been sat there for a while and with the busyness of the last year or so, with the books, I kind of need a month or so to clear the decks of things. I’m just about to finish a big client project, so as soon as that’s wrapped up I’m going to take a little break, do some client work, get everything in a good position, and then start on developing the courses. Nice. Well Chantell, you’ve shared so much with us today. I really appreciate you coming on and taking the time to talk, despite the issues on my end with my microphone going crazy. We made it through, so thanks for bearing with me. Thanks for doing this. Before I say goodbye, if listeners want to hear more from you and want to learn more about how they can improve their relationships with clients, what is the best place for them to go? What should they do next? [00:39:00] You can find my book on Amazon if you just type in “What Clients Really Want.” I also run a website called MasteringAccountManagement.com, which provides advice and information for anyone in client services, on how to create great client relationships, but also on anything that will help improve their jobs, from improving presentation skills, to time management, things like that that a lot of the time people end up having to spend years to learn. Instead just sharing that information so people don’t have to wait to learn it through experience. Awesome. I’ll make sure to get all of that linked up in the show notes. If you’re interested in any of this, please check out those resources. Chantell, thank you so much for coming on today. It was a lot of fun chatting. Chantell: Thank you very much, Andy. Chantell’s book is on Amazon, again titled What Clients Really Want (and the S**t that Drives Them Crazy). She also runs a website called MasteringAccountManagement.com, which provides advice and information for anyone in client services on how to create great client relationships, but also on anything that will help improve their jobs, from improving presentation skills to time management.